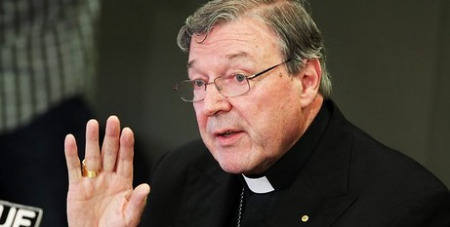 The Archbishop of Sydney, Cardinal George Pell, has downplayed the significance of the Pope's call for a less judgmental approach to homosexuality, divorce and abortion, reports The Australian. Cardinal Pell suggested that the pontiff's remarks might have been taken out of context. 'Two paragraphs in Pope Francis's important 12,000-word interview have been the focus of particular attention. He also emphasised the importance of not taking issues out of context,' Cardinal Pell said. But in a statement released on Friday, Cardinal Pell said the church did not need to 'harangue people about them every day. 'Important moral issues as they are, they are not central issues of faith, like the resurrection of Jesus or the love and mercy of God,' he added.